Good morning U Create Readers! So excited to be posting here today. As my readers know I LOVE U Create Immensely! 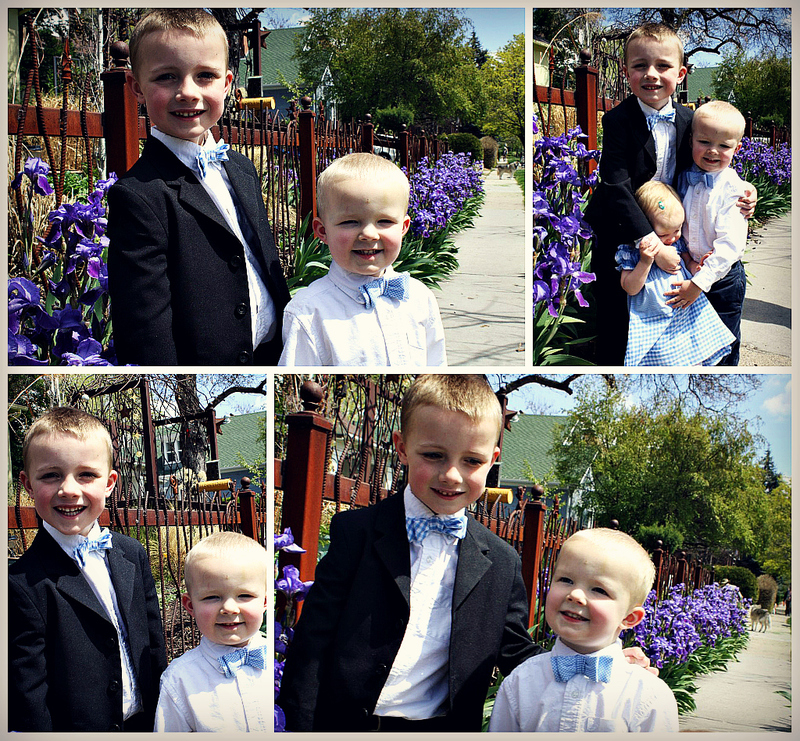 I’m Allison and I blog over at Freshly Completed. I love to share my projects that I’ve sewn, drawn, painted, baked, and inspirations that I’ve found through others. 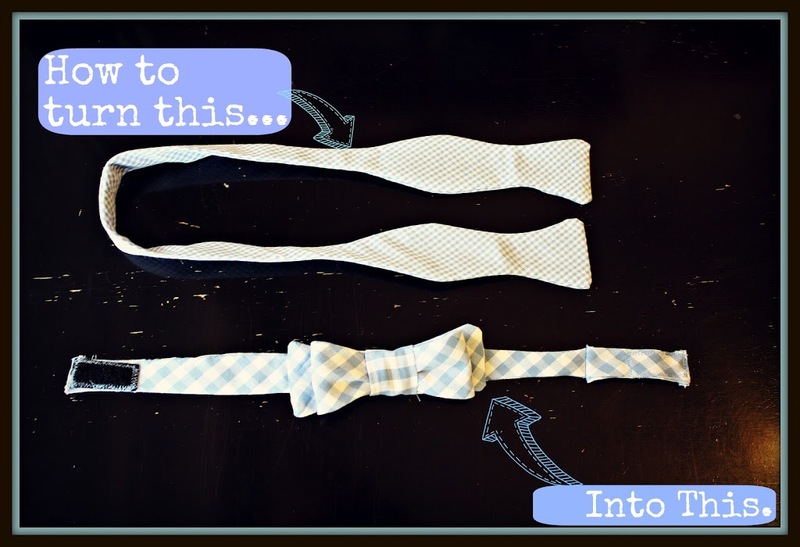 Today I’m so excited to share a tutorial of how to turn your traditional bow tie into a velcro- easy to use bow tie. Fold bow onto self and pin. Cut bows off the tie. 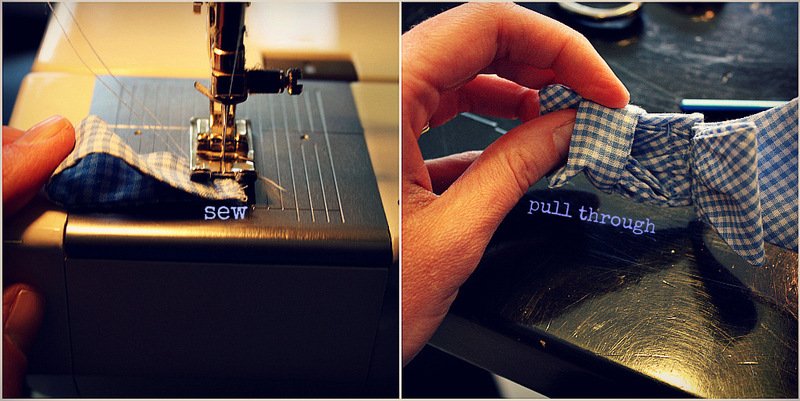 Make a pleat with the top piece of the bow and sew down. Repeat for other side. Place the bow together, facing each other and sew together. Now we’re making the loop to go over the bow. Cut out a rectangle (about 4″ x 3″), fold in half and sew. Flip inside out (I like to use crochet hooks) and press. Fold in half and sew together. Cut out velcro pieces (about an inch long). 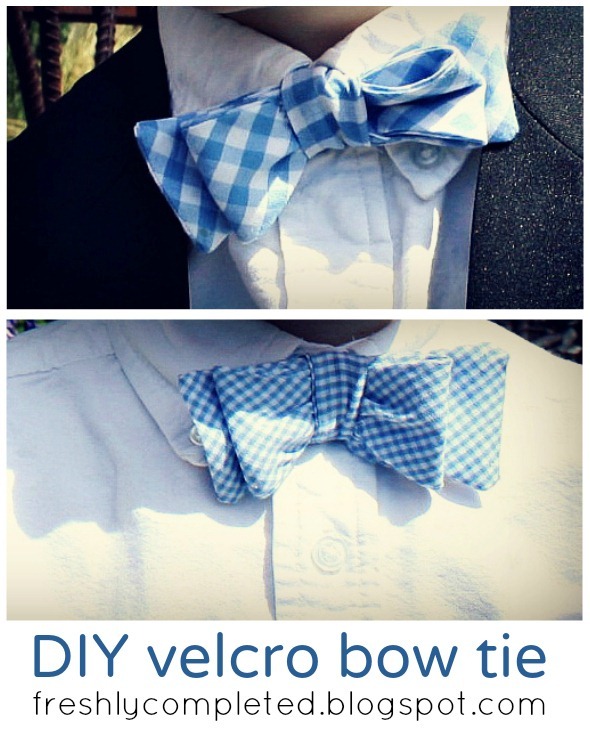 Place velcro on the bow tie end, fold ends in, and sew in place. Trim off any extra velcro that may be sticking out. Repeat on the other side, on the other end. Pull strap through the backside of loop. Hand sew bow tie strap onto the loop to stay straight and tight. BONUS: Use extra material to make a dress for the 1 year old. Thanks, U Create for having me! Thanks for the Feature!! Love being here!! Oh, I love freshly completed. It’s my FAVORITE blog of all time. She is so creative and makes the cutest things ever.